superdrol is a very strong compound therefore it's generally best to start with a lower dosage, asses tolerance and slowly increase it to the desired range. 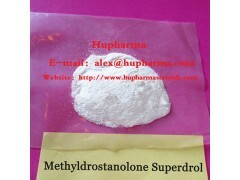 for first time superdrol users generally 20mg is sufficient and should be an ideal first cycle dosage, superdrol cycles are typically 3-4 weeks in length with 4 weeks being the most common, typically after 4 weeks the gains begin to slow and side effects increase thus cycles longer than 4 weeks aren't common or recommended. below are two common dosing protocols. if going with a 3-week cycle instead of a 4-week cycle, don't use a lower first week dosage, keep it the same the entire way through the cycle (example week 1-3: 20mg/20mg/20mg per day). more experienced users with past superdrol experience can experiment with dosages to around 40mg, however the added benefit may be negligible compared to the added sides at high dosages. superdrol works relatively quickly, therefore the majority of users typically begin to experience the effects of superdrol within 5-12 days, depending on the user. superdrol has an average half life and should have it's dosages split, ideally with one dosage in the morning and one around dinner time. on workout days it's advisable to take a dosage roughly one hour prior to starting your lifting session, it's also advisable to avoid taking a dosage close to bed time as it can alter sleep patterns.